MARK D. HOROWITZ, DDS For over 35 years, generations of patients return to Washington Square Dental Group because of our commitment to personal, high quality, and compassionate dental care. This dental office is the best! Everyone is so welcoming and friendly. The care they provide is excellent, absolutely top-notch. I always feel like my teeth and oral health in general are in the best of hands. Best dentist that I have ever had. Dr. Truong is caring, gentle and so thoughtful. She really understands where you are as a patient and is supportive and practical. I recently called to make an appointment with Dr. Swift to discuss Botox. I spoke with his lovely office manager Stefanie, who happens to be the most warm welcoming person I ever met. I should start by saying this was the first time getting Botox so I must add how nervous I was. Upon arriving at my appointment Stefanie greeted me and we had the nicest conversation which helped me feel super comfortable. After a few short minutes Dr. Swift greeted me with such a nice hello. We discussed what brought me in and what I was looking for. Dr. Swift gave some recommendations and the rest is history. He is amazing at what he does and I am so happy with the results. He is a genius and makes you feel so great about wanting to enhance your beauty. So thank you Stefanie and Dr.Swift I had a wonderful experience! Looking forward to seeing you both in 3 months! Dr. Truong and her staff are really nice and do a great job. My last cleaning was a quick and painless experience. I recommend them to anyone who's looking for a dentist in NYC. Dr. Darling and my hygienist, Frieda are kind, gentle and help me keep my smile in top condition. The office always has a calm vibe. I highly recommend them. I have a been a patient @ The Washington Square Dental Group, P.C. for over 30 years. Drs. Berger and Horowitz have taken excellent care of my dental needs. The office is run like clock-work in a most professional and courteous manner. Since I was forced into an "early retirement" from my job, and lost my dental insurance in the process, this office has charged me a "Senior Citizen" rate which is a great help financially. Friendly, professional service right in the heart of Greenwich Village. I've never loved going to the dentist, but Dr Truong and her team always make my experience seamless and easy. They're super flexible, communicate well and have done an awesome job on my teeth. Highly recommend. Dr Anne Truong and her team are by far the most professional, efficient and talented Dentists and hygienists I have ever been to. I never dread going to the Dentist with this team, they are THE BEST and I recommend them all my friends and anyone who asks. Dr Anne Truong and her team are by far the most professional, efficient and talented Dentists and hygienists I have ever been to. I never dread going to the Dentist with this team, they are THE BEST and I recommend them all my friends and anyone who asks. Dr. Truong and her entire staff make visits to the dentist pleasant, efficient and painless. Her Saturday appointments means I don't have to take off from work, which is another great convenience. Highly recommend! And much cleaner than my previous dentist's office. Dr Truong stayed in office to receive me when I had an emergency. Then took care of other regular stuff with professionalism and a smile. The whole team makes you feel they care! Strongly recommend her practice. Dr Truong is THE best dentist I've ever visited. Very kind and caring and offers great advice that always had my best and financial interests at heart. Would recommend her in a heartbeat to anyone! Dr. Truong is highly recommended. Her facilities are newly renovated and excellent and she's sure to bring a smile to your face. Such a pleasant experience! Dr. Anne Truong was incredible. My first visit was to replace a filling, my teeth hadn't been looked at by a dentist for 9 years and I was feeling pretty anxious about it. She was patient explaining everything and helped set me on a course to get some treatment I've been avoiding without judgement. Rest of the staff was also friendly and kind. I have been a patient of Dr. Anne X. Truong for a number of years. I started under her care with a mouth full of problems, from cavities to broken and chipped teach from grinding my jaws in my sleep. Now, if you know me, you know that my least favorite place on earth is the dentist chair! Nevertheless, through Dr. Truong's patience and professionalism (and sense of humor), I am proud to say - even though there are moments of fear and panic in the chair - my teeth are in their best condition for the first time in well over a decade. If you want personalized, professional attention in a relaxed and friendly office in the heart of Greenwich Village, Dr. Troung is THE best choice. I have always been scared of dental visits, but visiting Dr. Truong has been the most pleasant experience! The office is very friendly and organized, and the staff was incredibly helpful with all of the questions I had. Dr. Truong is kind and patient, and is always takes my concerns into account. I needed a bit of extensive work done and she explained how each step of the process would go and how I should be maintaining my teeth throughout. I also have a very rigorous school and work scheudule and she is great about accomading appointments that fit into my week and scheduling dental work that can be done in the least amount of visits. Above all, every visit with her has been quick and painless! I strongly recommend visiting her- she will definitley go out of her way to make sure you are comfortable and well taken care of!!! I love any opportunity to go to Washington Sq Park, in the village, so the fact that Dr. Truong's office is directly in front of the arch (at the end of 5th ave) makes my visits even better. My cleanings are always great and the hygienists are very knowledgeable; I'm actually seeing an improvement in my gum health since becoming a patient here (used to bleed during brushing). The best part has been my Invisalign experience though. Dr. Truong has completely customized it to me, my schedule, and what I'm hoping to get out of the treatment. My teeth weren't that bad, but she accepted my vanity, haha, and has been super supportive. It's really nice to finally have a dentist that just gets it. Absolutely love this dentist office. Dr. Truong is amazing! She kind, caring and very knowledgeable. She makes even the most uncomfortable procedures easy to bare. I am also just finishing up Invisalign with her and I could not be more happy with how it has gone. In addition to Dr. Truong all of the staff at Washington Square Dental are amazing, from the receptionists to the hygienists. If you are looking for a new dentist, want to do Invisalign or just need your teeth cleaned this is the place for you. Dr. Truong and her staff are absolutely fabulous! Always receive a friendly welcome, great bedside manner by hygienists and a can expect to get a great cleaning. I've been to my fair share of NYC dentists, and this office and Dr. Truong, are top of my list!. I have been a patient here for more than 30 years. Dr. Horowitz and Dr. Darling -- and all the staff -- are not only excellent, they are the friendliest, nicest people in NYC! Always quick, professional, and friendly. Their services are everything you should expect from a dental office. The convenient location is also a nice bonus for me. Dr. Horowitz is wonderful. Smart, kind and most certainly has the best interests of his patients in mind. Dr. Horowitz and Hygienist Sandy are always welcoming and take the greatest care of my teeth. Prompt, thorough and friendly service! Dr. Darling is always excellent in every possible respect. My hygienist Lisa told me useful things no other had told me. She also managed to be incredibly sensitive and yet work energetically. I have been to many dentists, including dental school teachers. Washington Square is my choice. I've been going to Dr. Berger for a few years now, and have always had a wonderful experience! He is thorough, professional, friendly and always remembers details. The office is great as well - runs on time mostly, the ladies who do the teeth cleaning ec are friendly and nice and conscientious. Actually pleasurable going to the dentist! 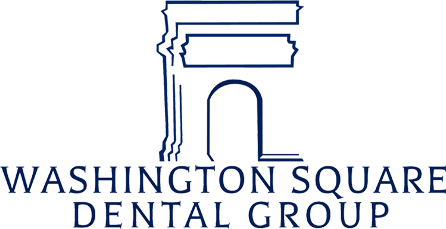 I always have a pleasant experience when I get my teeth cleaned at Washington Square Dental Group, which says a lot! My appointments always start on time and are thorough. The staff there is also knowledgeable and extremely nice. The BEST! I had been living abroad, and neglecting my annual dentist visits, for years when I first visited their practice. They did a lovely job on my teeth, were totally painless and kind, and soothed stress. I honestly look forward to my visits! I have been going to Washington Square Dental Group for years and could not be happier. The staff is great, really talented, professional, and very personable. I highly recommend this practice to anyone who wants a superior "dental" experience. Everybody at Washington square dental is so nice!! Dr. Darling is gentle and painless. I highly recommend this dental office. Fantastic! attentive, professional and good dental care. The front office is wonderful; the dental hygienist did a thorough job, and Dr. Berger is skillful, knowledgeable and courteous. Dr. Horowitz saw me on very short notice, analyzed the problem, and assisted me in arranging for the next course of treatment with an endodontist. I couldn't have asked for better. Perfect! Been a patient of this practice for over 25 years. The staff and hygienists are wonderful. Dr. Darling is meticulous and I’d highly recommend her. Her work is top shelf! I never thought that a periodontal treatment could be pain free. Thank you for your gentle, thoughtful, professional staff for making the process bearable. The evening after the procedure was painless. Dental hygiene can be frightening and painful. Washington Square diffuses the tension and reduces the discomfort, so that one has as pleasant an experience as possible. Have been a client thirty years. Our whole family has history here. A great place. Excellent service! Dr. Truong was amazing! She explains everything she’s doing and she’s very gentle. The office staff was very welcoming and friendly. Dr. Truong and her staff are great. They have a friendly and professional demeanor and my cleaning was quick, thorough, and pain free. I will definitely go to them for any dental work from now on. Always professional, always a pleasure. My family and I won't go anywhere else. My friend kept telling me that he had the coolest dentist. I didn’t pay much attention until I discovered that I needed Invisalign. I made an appointment with Dr Truong, and immediately I understood. I get the impression that Dr Truong is genuinely invested in my dental health and concerns. She seems to really love what she does, and takes great pride in her work. I can see why her patients love her. I travel constantly for work, and Dr Truong is really flexible and happy to work around my crazy travel schedule. It’s amazing what a difference it makes to feel that your dentist really has your back and is looking out for your best interests. Dr. Darling has made me a fan of going to to the dentist. I have been a patient for many years and have never been anything but thrilled by her work. The hygienists and front office are also superb. Copyright © Washington Square Dental Group, P.C. All Rights Reserved.